EarthGang and J.I.D are continuing their adventures, this time across the pond. 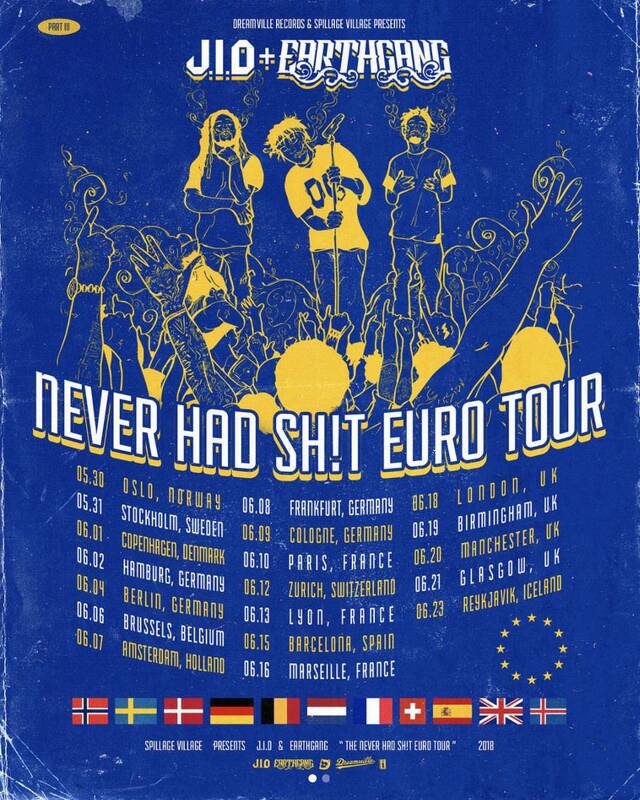 The Dreamville talents will take their Never Had Sh!t Tour overseas, for a 19-date trek across the United Kingdom, Germany, France and other European stops. Fans can expect their shows to be just as raucous as their stateside concerts. Check out the dates below, and watch their latest “Never Had Sh!t Tour” episode down bottom.